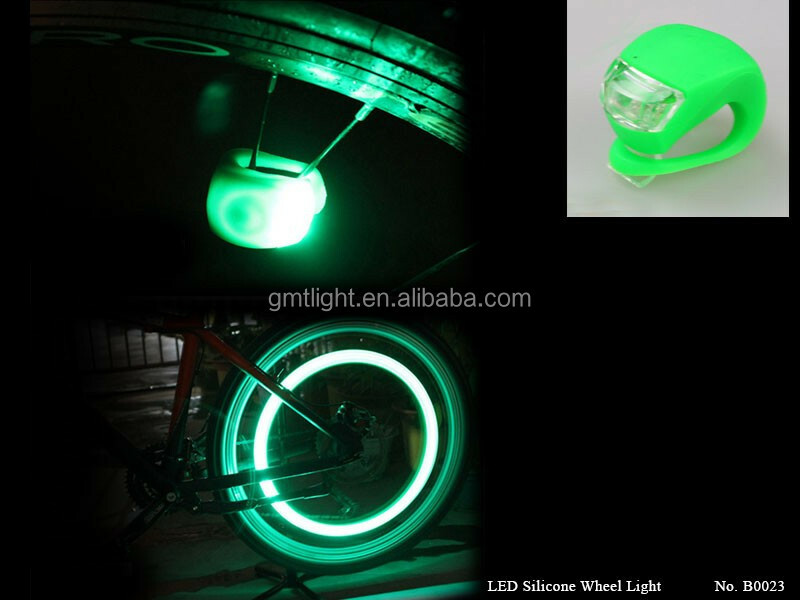 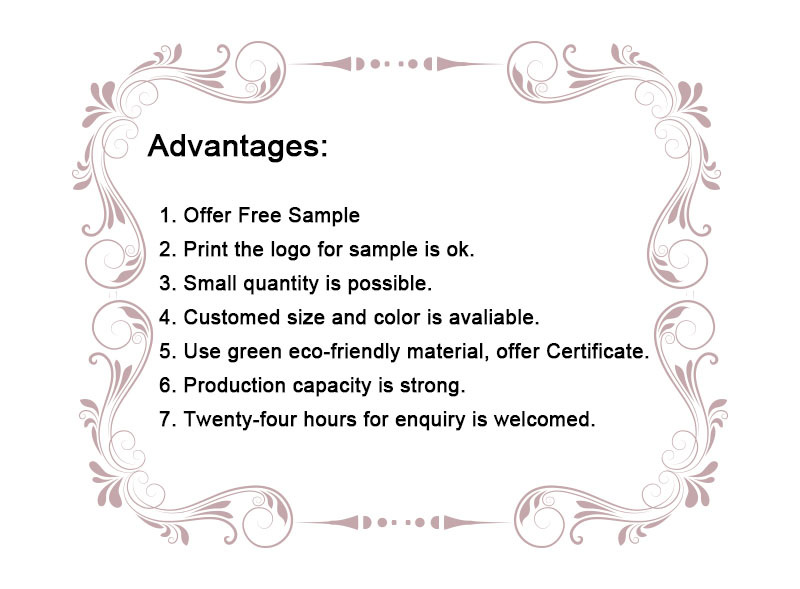 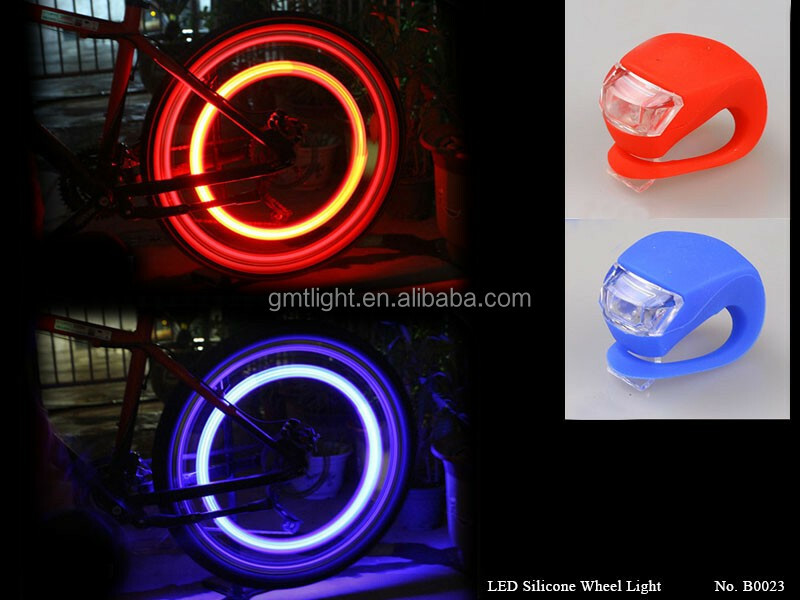 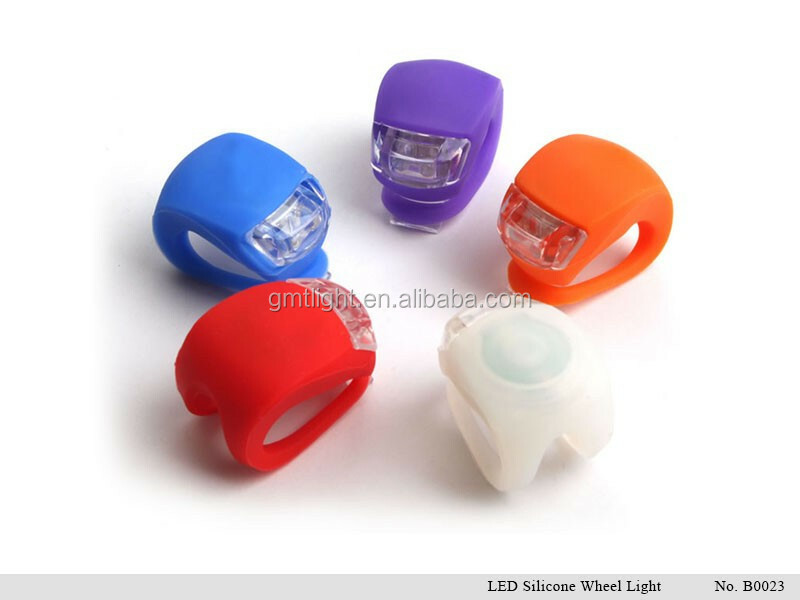 The led silicone bicycle wheel light with the high quality material is a new design from China. 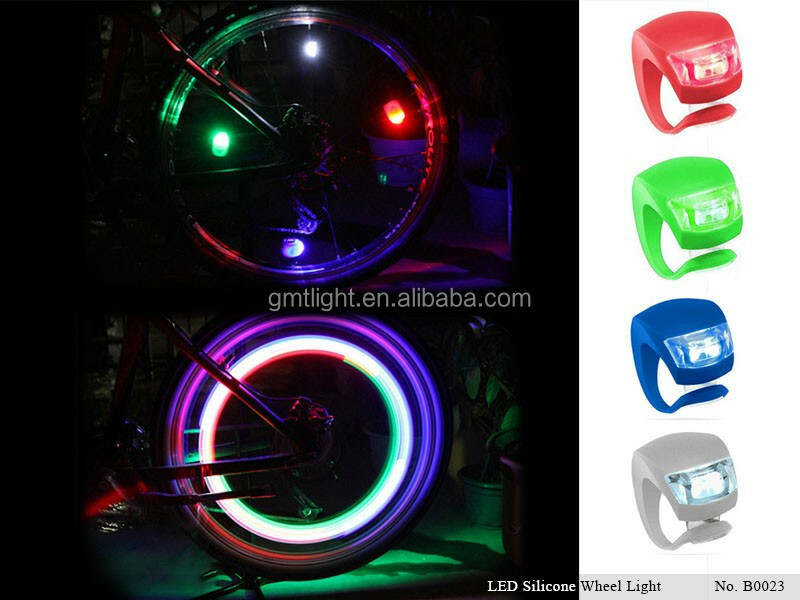 This led silicone bicycle wheel light have three modes: fast flash, slow flash, and steady glow. 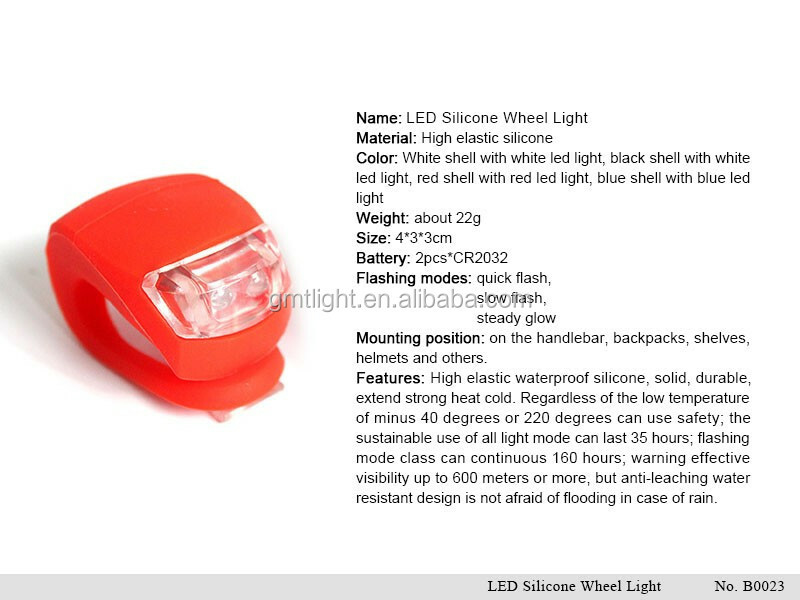 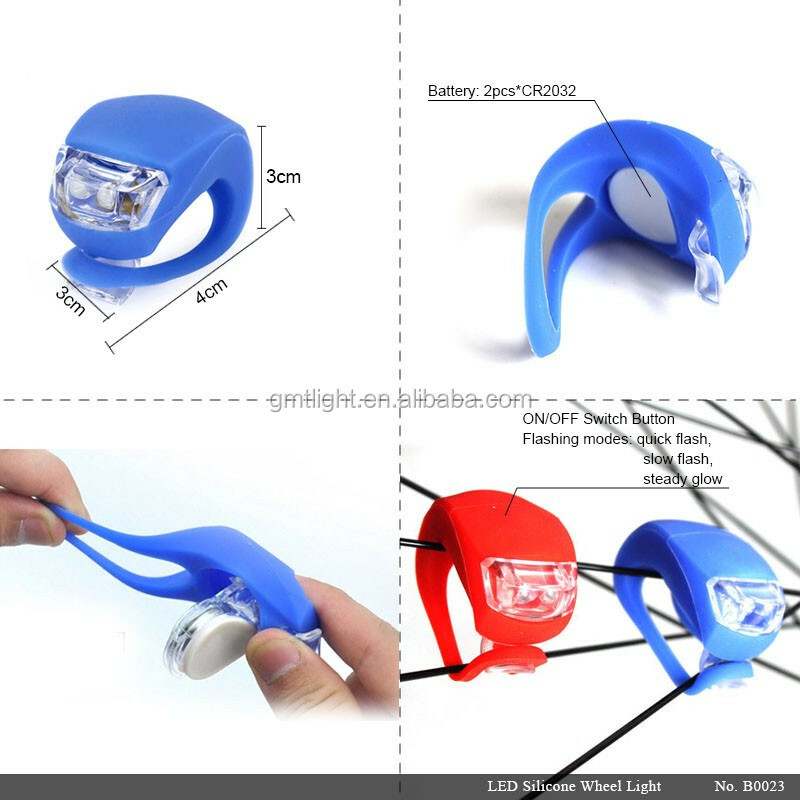 The Eco- friendly ,non toxic and Friendly to your body; Soft, flexible, excellent abrasion resistance; Non-stick finish,excellent water-proof,Elastic design for comfortable feel Frog lights, there are 2 leds, is to use 2 section CR2032 batteries, super bright.This frog light easy to carry, can be installed on the handlebars, seat tube, after the frame on the fork, flower drum center, tooth plate of the foot, front fork leg, before, during and after the helmet bag position such as accessories. 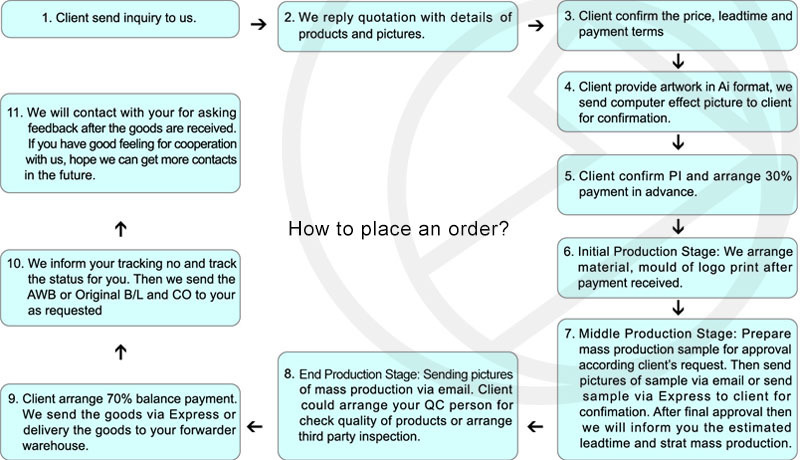 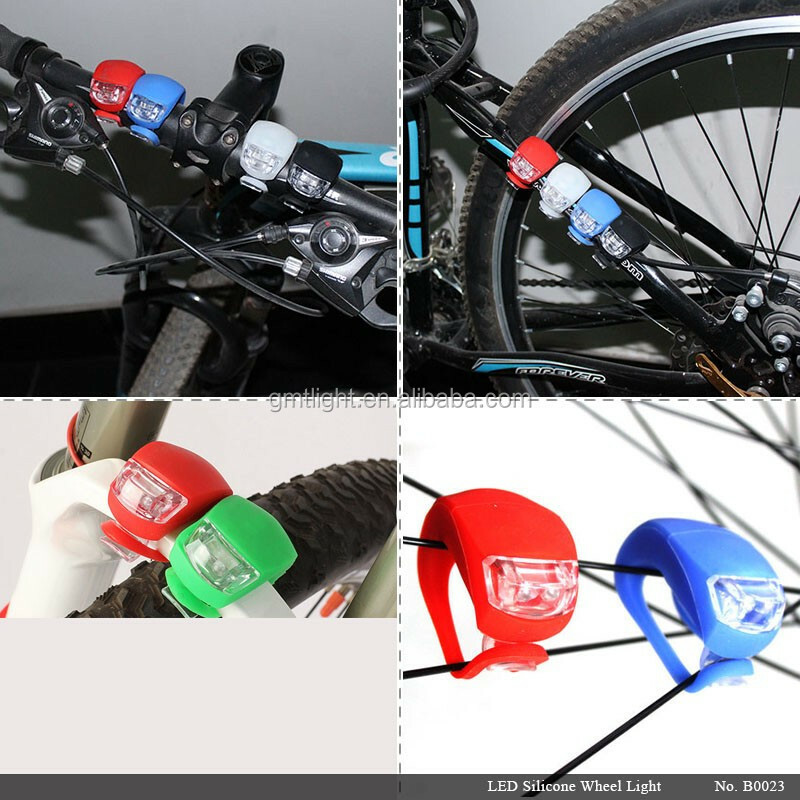 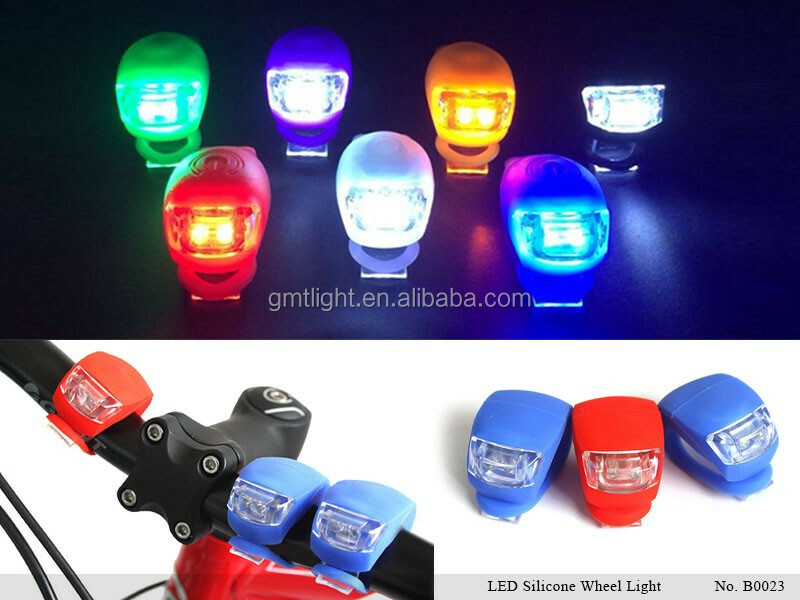 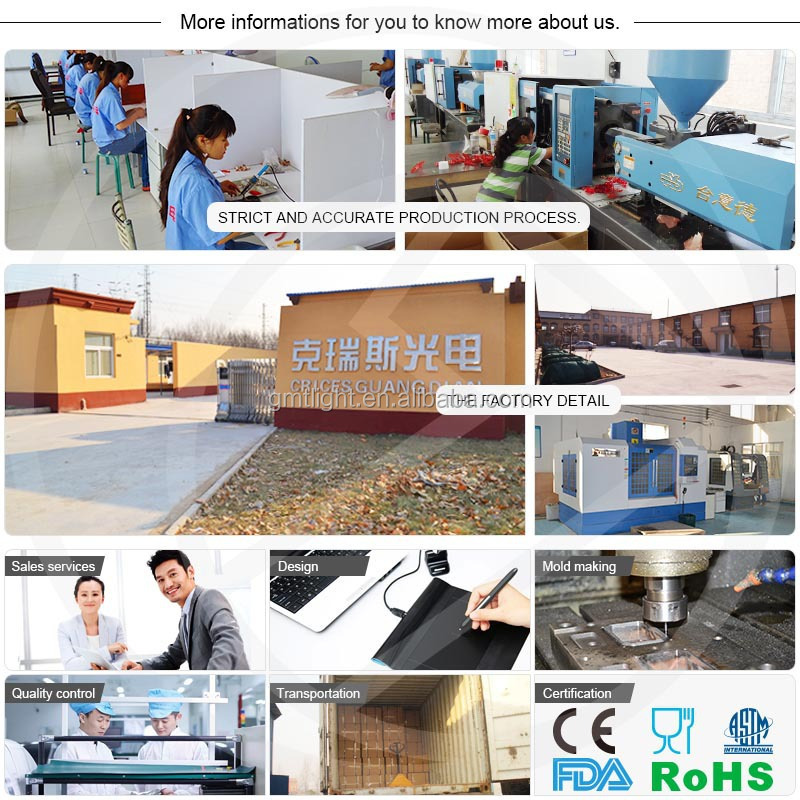 LED wheel light; LED sport wheel llight; LED flashing in dark wheel light; LED bike wheel light; LED car wheel light; LED bike light set; led motion silicone wheel light; led sound actived wheel silicone light; Motion Activated LED Bike Wheel Light.